Been meaning to make one of these for ages, can't really use the workshop as floor paint is drying so mostly made this in the front room whilst other half out at work. Components being, dogs tuna tin from last night, 22-15mm copper fitting with a wrap of 2mm copper wire to fillet the joint. Not very fancy, but killed an hour on a slow day. dogs tuna - is that tuna made from dogs? Or dog-flavoured Tuna? More to the point, how did you get the lid back on without any form of damage??? Magican opener leaves a really clean edge. I was able to flare this outwards with smooth pliers. 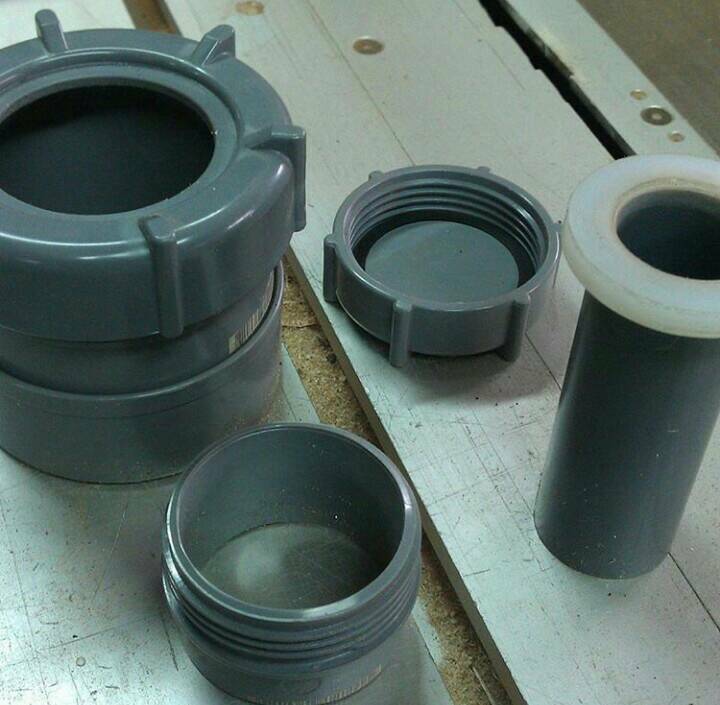 Now the lids cut edge sits inside the can. 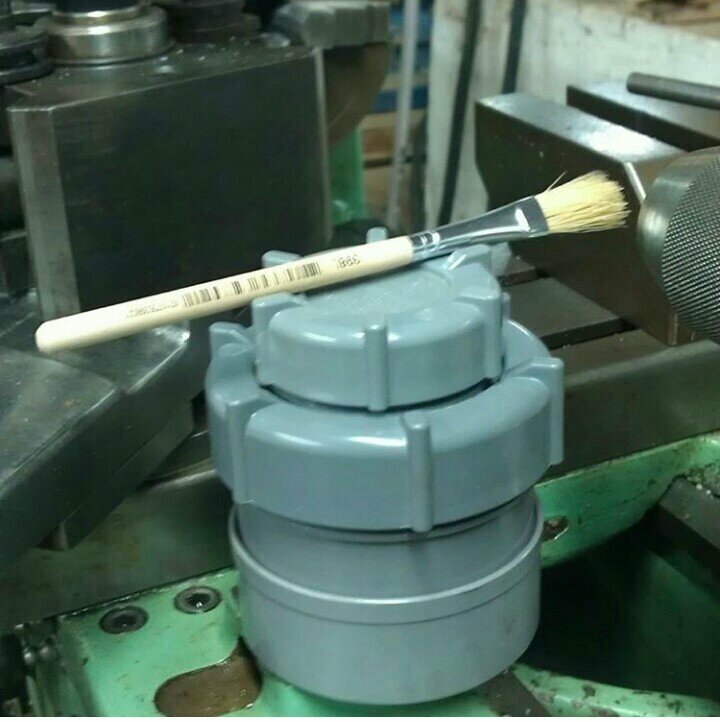 Needle file to rough the edge and take off any coatings. Flux and tin the edge with flux cored solder. The metal is so thin you don't need a big iron. 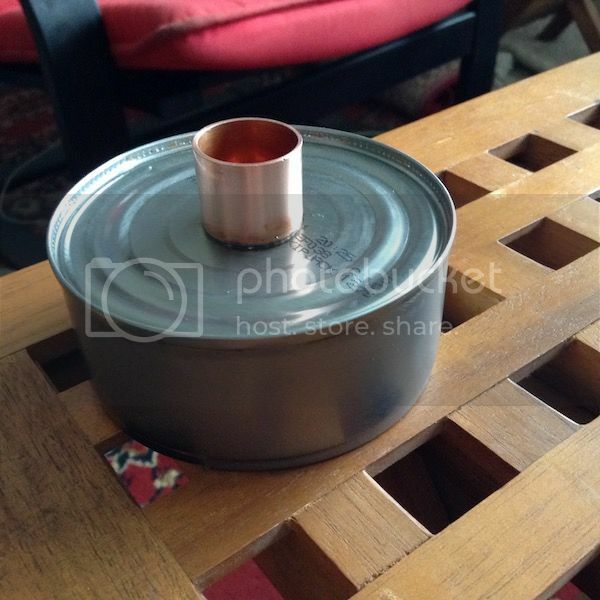 Prep the lid, needed a bit more heat to solder the copper fitting. Tin the lid inner edge, now press fit and using the soldering iron slowly melt the solder at the tin/ lid joint all round. Add a little solder if needed to get a continuos seem. Clean up and cool down, now blow into the copper fitting and see if the can leaks. 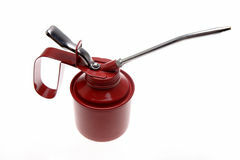 If it's sealed your all done, add oil and pour out excess from can back into bottle. Yeah Ade, you know tuna, four legs and barks ??? it was actually easier to solder as the ring is smaller this side and the solder easier to wick round. Much neater topside with solder flashed all round the joint. 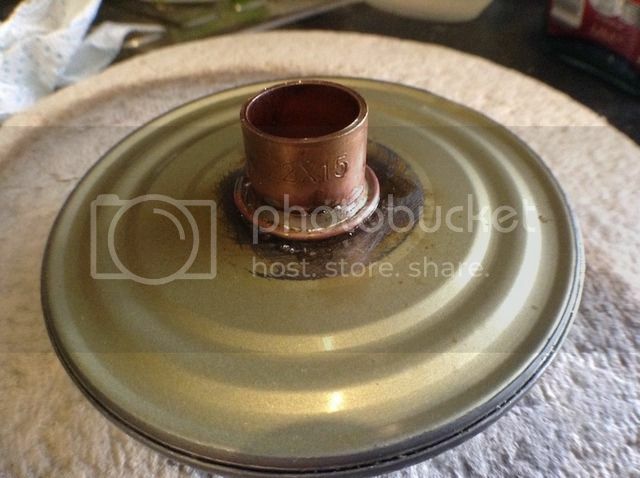 Only apply heat to the copper fitting and you won't set fire to the coating on the can. All you need now is a small magnet in the bottom and it won’t spill. So... do you just pour the oil out of the top, then? Whilst I can appreciate the cheapness, wouldn't it be easier to just use a cheapo thumb-pump type can? If you run the parting off/crosslide on auto you won't need that third hand... providing you've got power X feed...? ... providing you've got power X feed...? Good for spraying the machine all over after cleaning down..too..
it's not the cost, it's about making something. You can spend an hour in front of the TV or you can spend an hour in the workshop and improve your maker skills. This is Mad Modders, so converting an empty tin of fish and a plumbing fitting into a useful workshop widget should be seen for what it is. Otherwise we might as well be Mad Couldn't be Arsed to Make. And that's why I come here, to see the guy who has to make his own nuts and bolts, takes the time to learn screw cutting showing where they went wrong and why brass makes crap cutting tools.... Simple stuff can inspire others to have a go, especially if they have limited resources and skills. This is a great mentoring project. A bit of imagination and it could be the basis of a DIY hurricane or table lamp. I'm just a grumpy git at the moment, can't get in the workshop. The oil can is none spill, unless your very determined. Yeah Rob is good fun to be around, I've often paid him a visit when up at Gateshead.....makes a good brew..
Or, take the easy way out and use a Fairy Liquid bottle with a little brass nozzle. it depends on how full and which way up it falls John. My toast always fall butter down! What I really need to do is get the suds system up and running on my lathe, so I can either flood cool or, as Bogs showed me once, use a spraymist system.